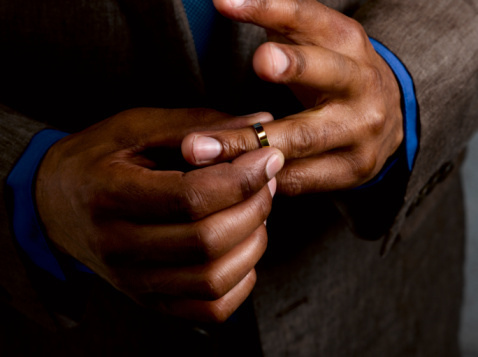 If you have been proposed by a man who is divorced and are interested in accepting his proposal, there are a few things that you really must do before you give him your final answer. These things will not only help you feel more comfortable with marrying a divorced man, but will also help to ensure that his failed marriage does on take its toll on your life and happiness. The first thing you should do before marrying a divorced man is to get an official copy of the divorce decree. You will not only be required to show this at the time of applying for your marriage license, but will also need it for assurance that the man you are about to marry has actually divorced his previous spouse and is not just lying to you. Talk to your potential mate with any questions that you may have regarding his previous marriage such as how his previous spouse was like and what made the marriage fail. It is better to clear everything beforehand instead of learning the truth gradually with the passage of time. His answers to your questions will help you to make the final decision. Make sure that your potential mate has gotten over his failed marriage, as this can lead to low self-esteem, depression, negative thoughts and in some cases anger. You do not want to find yourself married to such a man, as he will be somewhat unpredictable and not capable of keeping you very happy. Help him pull himself together by supporting him and asking him to see a psychiatrist. If you have any children, talk to them about your wedding and how they will have a step-father. It is natural for them to feel a bit scared and insecure. Remove their fears and insecurity by telling them that your love for them will never become any less and that you will always watch over them. Also tell them of the man you are about to marry. Tell them all the good things about him and how he is going to love them and take them out for ice-cream or movies, etc. Seek family counselling if you fear that there will be a problem with the transition. Try to learn something about your husband-to-be’s ex-wife. You can try forging a friendship with her as well, which will not only help you to unearth more things about your potential mate’s previous marriage, but also help you to keep tabs on the relationship between him and his ex-wife.